The security blanket, first companion of your child! 2houses | The security blanket, first companion of your child! Teddy bear, doll, end of colored tissue, old tee-shirt of mom or dad or a sheet, a cover blanket, only one or several security blankets, with sometimes improbable odors because they were handled and sucked, here is the universe of the security blankets of our children! Whatever its shape, the security blanket is the best friend of our children. It gets a psychological comfort and has a particular emotional value. True companion of the child, the security blanket is symbolic, reassuring and therapeutic. The children are very attached and carry it during nap, unhappiness, anxiety or tiredness. The security blanket is present everywhere! What symbolizes the security blanket? 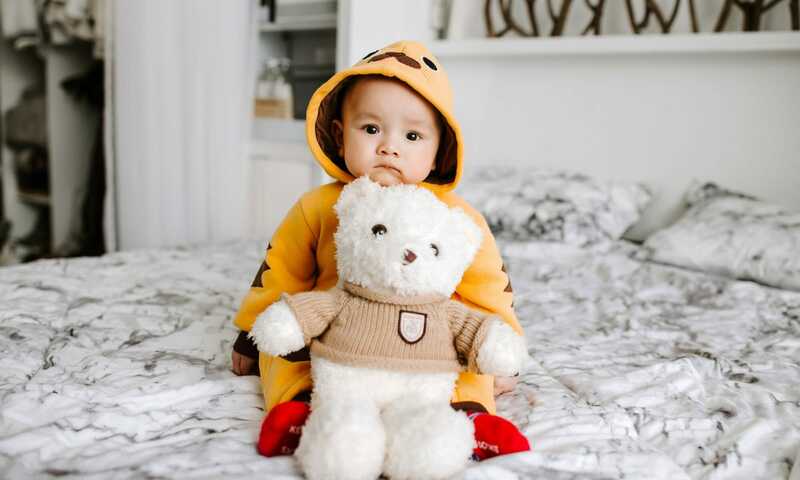 Very small, the child needs to feel safe and will stick to an object or a security blanket around 8 months, age which coincides with what is more commonly called as “the separation anxiety of the 8th month”. Moments of fear and of anxiety appear, the child feeling the need to comfort himself with an object which reassures, makes safe, and which helps to make the transition between the presence of their “parents present” and “parents absent”: mom, dad, or all people who are present in the closed environment to the child in a daily way. The security blanket is also used to help the child to cope with situations such as the arrival at the nursery, the first steps at school, the holiday departure, a day or a weekend with the grandparents, or the separation or the divorce of their parents. Until which age the child needs a security blanket? Most of the time, it is the child himself who will decide to part from its security blanket. Thus no prerequisite age! When the security blanket is not essential any more, becoming then a trophy, put in the bedroom of the children and will always guard a place of choice in their hearts. The need to have a security blanket becomes blurred towards the age of 6-7 years old. And you? What does look like the security blanket of your child?? When your child decided to part from his/her security blanket? Tell us and leave us your comments here.